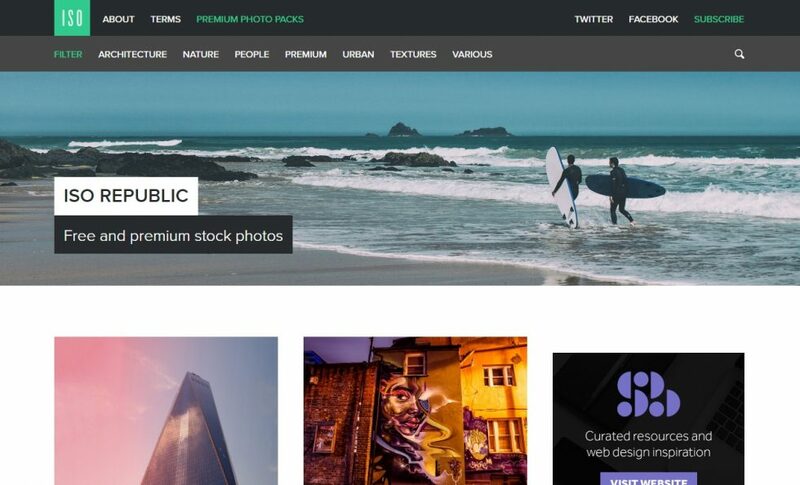 Unsplash offers 10 new photos every ten days. 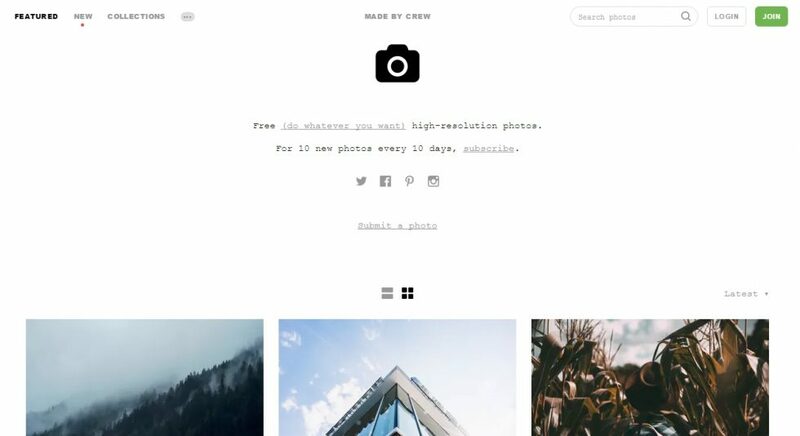 The photos are offered under the Creative Commons Zero license, which allows you to do whatever you want with them – with no need for attribution. 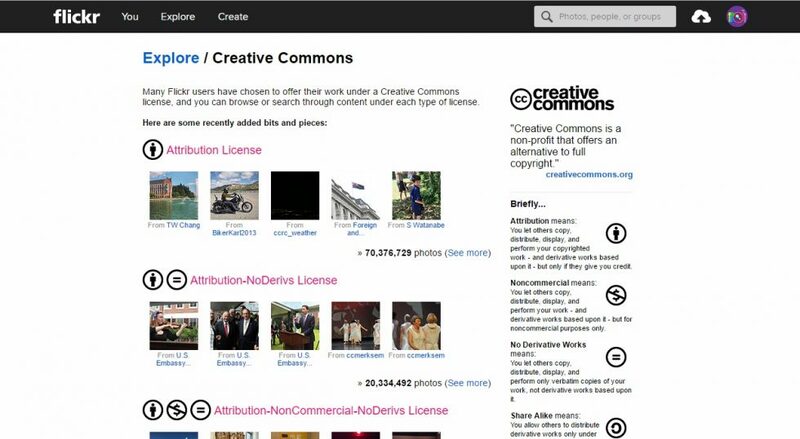 The Yahoo-owned photo-sharing website Flickr has a whole section dedicated to “creative commons” photos, which can legally be used in a wide range of projects. Many of them do require attribution to the photographer when used. ISO Republic has over 500 free photographs available for download and use, almost all of which were taken by English photographer Tom Eversley. They are free to use, without attribution, for any project – including commercial.